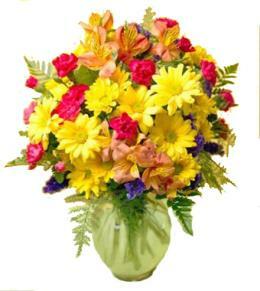 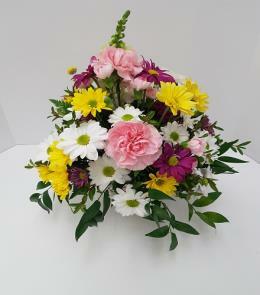 Mixture of locally available pink flowers, green and filler. 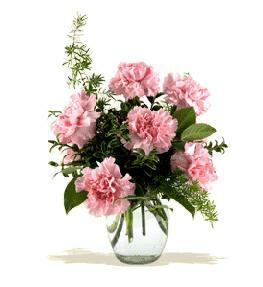 Reday to be put into a vase. 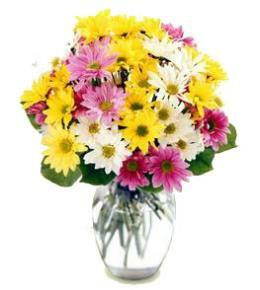 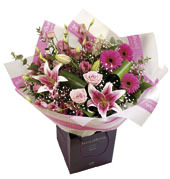 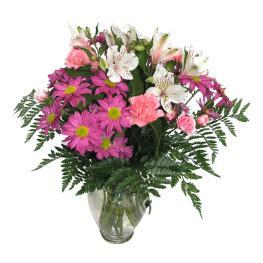 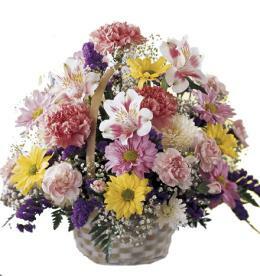 Euro Style Hand Tied Cut Bouquet - Pink Radiance Hand-tied IC500345.